THE BLAZE is running photos of our US Ambassador to Libya being dragged through the street, alive but mortally wounded. 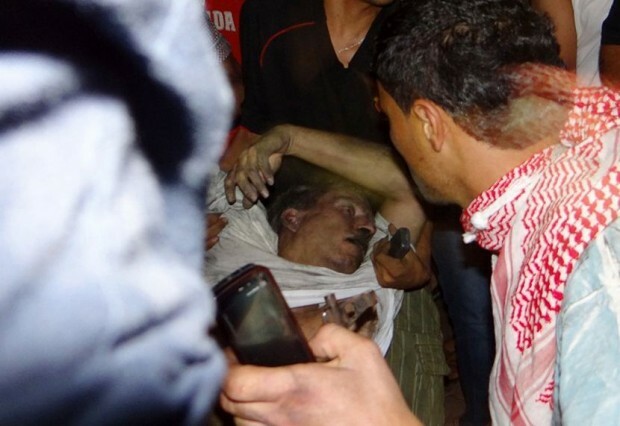 This is California-born ambassador Christopher Stevens who was killed in the assault on our Embassy. 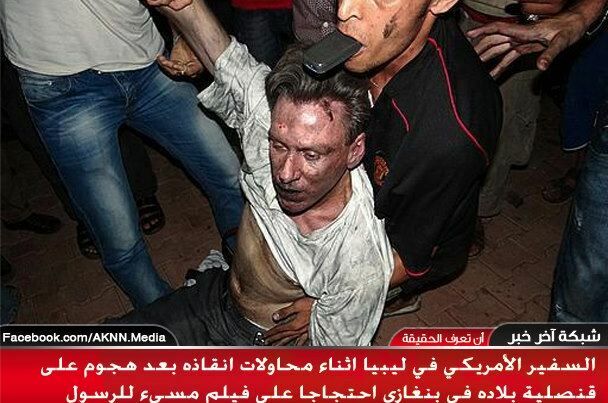 This is what Ambassador Stevens looked like as he was being manhandled by the beasts who are “insulted” about a film that disparages their precious “prophet”. Pray for his soul and for his family, who must be undergoing an unimaginable range of emotions. I can’t help but think that we are witnessing all hell breaking loose in the Middle East, sucking us into it by design of the evil one Obama and his henchmen who will do anything, pay any price, sacrifice any fellow American, to retain power and deliver us into the hands of the savages and the money changers. God help us. God. help. us.